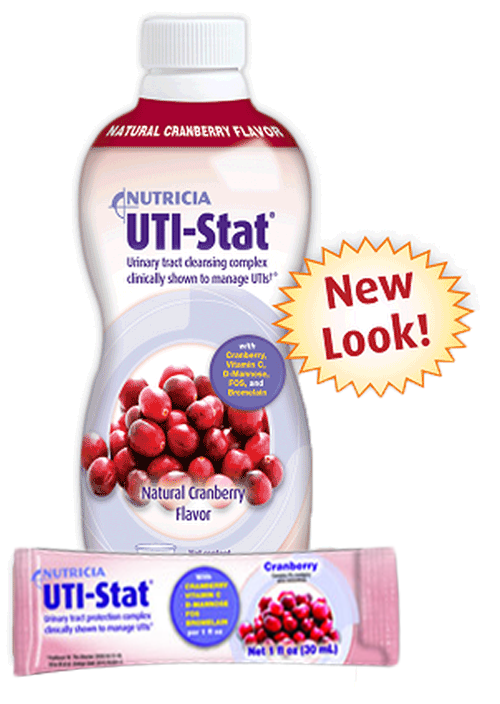 UTI-Stat™ Urinary Tract Cleansing Complex with Proantinox by Nutricia has the power of 544 pounds of cranberries in a single serving. 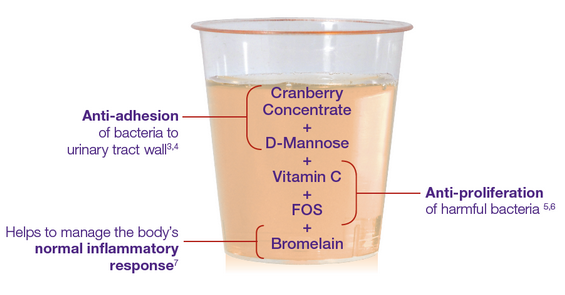 The use of concentrated cranberries (proantinox™) has been clinically proven to prevent the recurrence of urinary tract infection symptoms. The cell structure E. Coli attaches to the urinary tract wall causing infection, cranberry proanthocyanidins disables the cells ability to adhere to the wall. It maintains urine acidity, which helps create a less welcoming environment for bacteria. 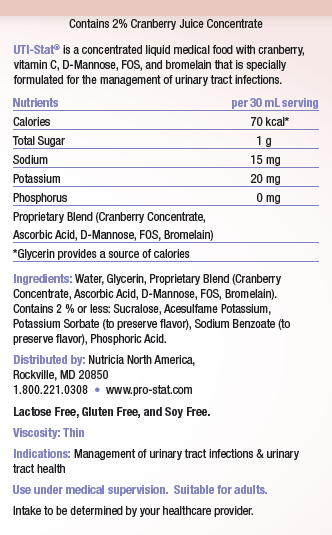 UTI-Stat™ contains D-Mannose, which attaches to bacteria forming a complex compound that is expelled through urine, FOS (Inulin), a "prebiotic" that promotes the growth of bifidobacteria in the colon, which creates an unfriendly environment for E.Coli bacteria, and Bromelain, which enhances antibiotic effectiveness. 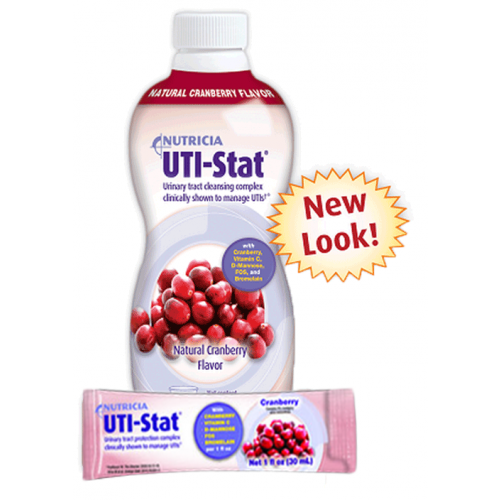 UTI-Stat™ is gentle, has a natural cranberry taste, and helps maintain adequate urine acidity. It comes in either a bottle (30 oz) or packet (1 oz) and can be purchased individually or by the case (4 bottles per case, 96 packets per case). If you prefer cranberry supplements in capsules, you may like to try the Optimum Cranberry Juice Extract or Major Cranberry Supplements.